Oh, Snap! It’s almost August! 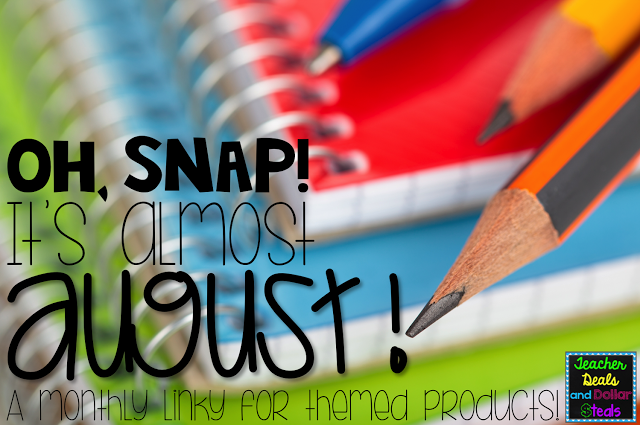 August is right around the corner and we as teachers are getting close to that B2S prep. I’m teaming up with Teacher Deals and Dollar Steals to help with that back to school shopping so that you don’t break the bank! For the next 3 days you can grab some of my back to school items for 20-50% off! Some items are even ONLY a $1! First up, let’s talk about organization. Last year I started making the switch from a filing cabinet to binders. I took all of my monthly files and organized them by holidays and special events into binders. I needed some cute covers to help me do that. 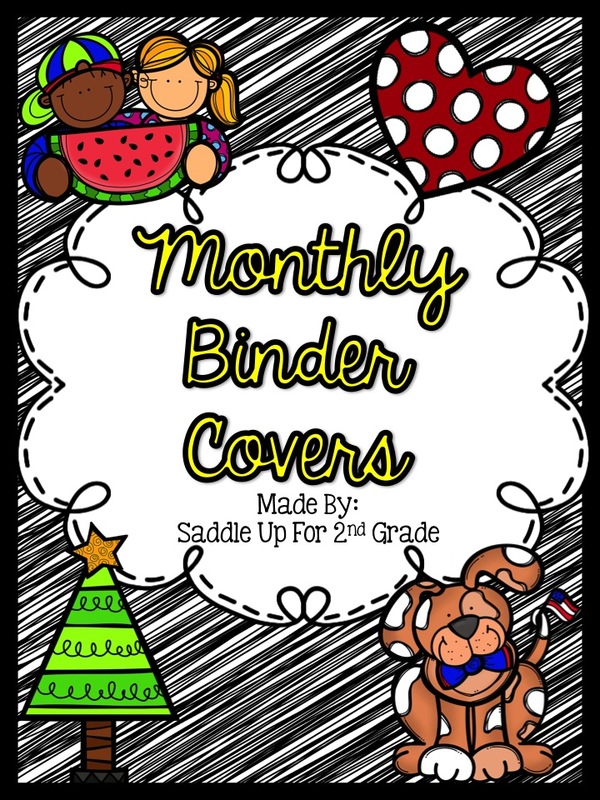 Grab my Monthly Binder Covers on sale for only $1!!! 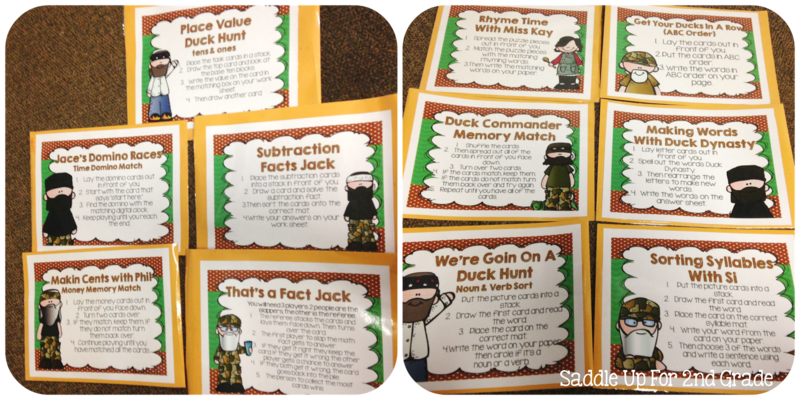 Next are my Welcome Back Jack: Back to School Math and Literacy Centers. These have been a class favorite for the past 2 years. They include math and literacy skills to help get your students back into the swing of things at the beginning of the year. You can grab them 20% off for the next 3 days!!! 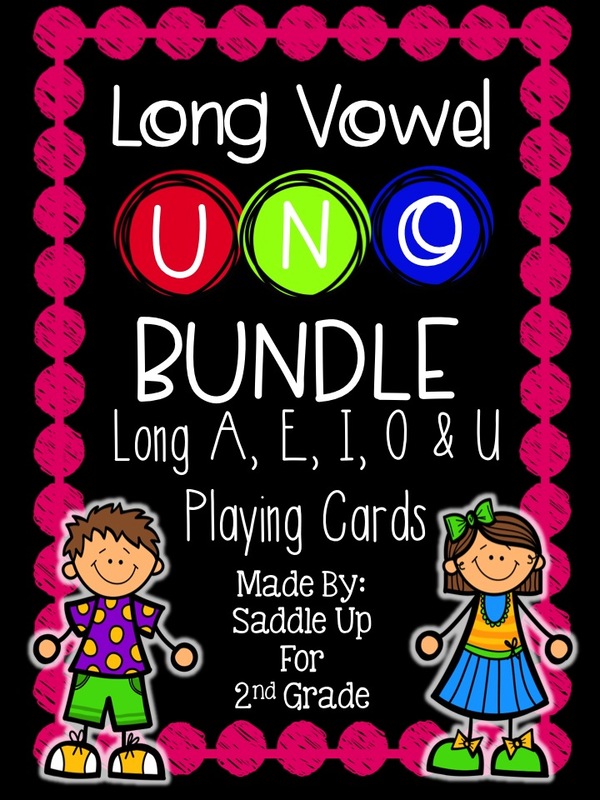 Last but not least is my Long Vowel Uno Bundle! My students loved these last year! They played during stations and it as an option for when they had free time. You can grab the BUNDLE (all 5 vowel sets) for 50% off!!! 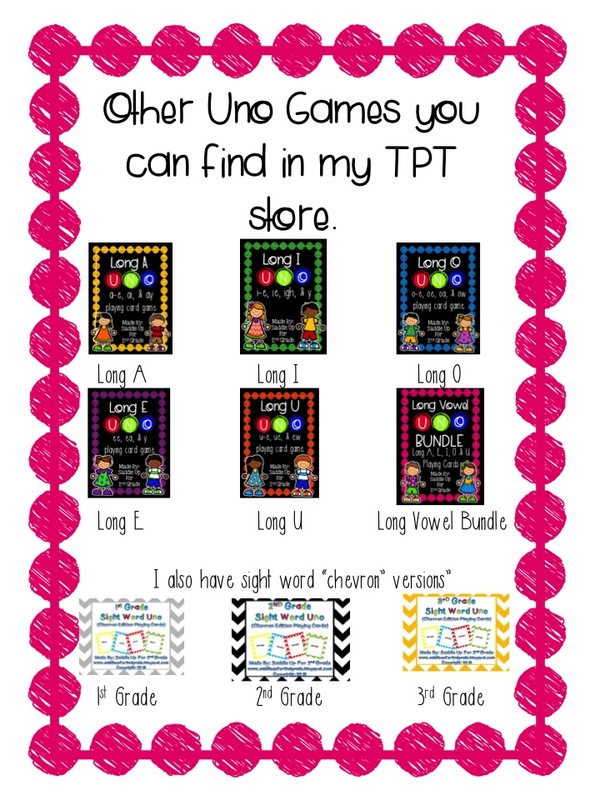 You can also grab individual units along with my sight word versions. (These are not part of the sale). Now head on over to the Teacher Deals and Dollar Steals blog to see other great B2S items from some amazing ladies! You can also click on the links below! Do your students need some practice with adjectives? 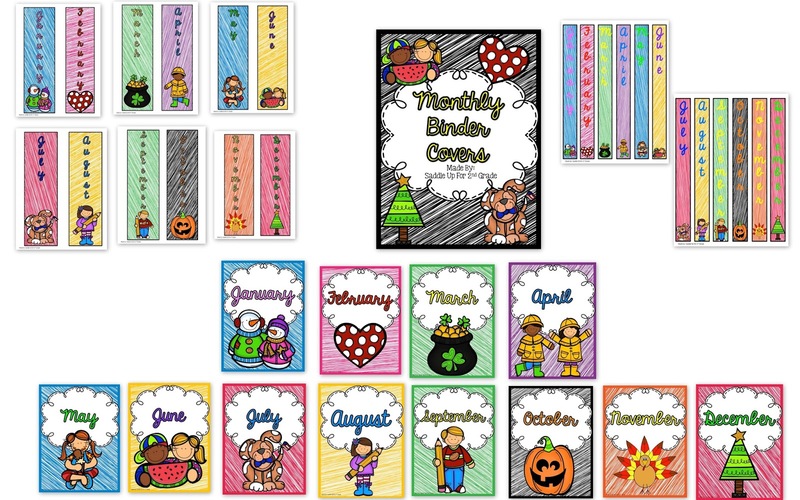 Grab this FREEBIE in my TPT store! I love interactive notebooks! They are perfect for independent practice. With this activity, your students will read the analog clock and write the digital time and word form under the flap. This is one of the many activities in my newly updated Telling Time unit! Saddle Up For 2nd Grade shared a post. It's not too late to register. Just click the link below to get signed up!! Come join me on April 24th at 7:30 EST!! I will walk you through the steps on how to set up your math block for success and help you create a vision for what your stations should look like. We will talk about establishing procedures and staying organized too! You will leave this webinar with tools and information you need to start implementing small group math right away! Oh! Oh! Five LUCKY attendees will win a complimentary FIRST YEAR of ESGI ( $199 value)!!! Several years ago I made the switch from a traditional word wall to an interactive word wall. Words are stored on binder rings for the kids to access at any time. I'm wanting to write a blog post about how I've used this as a tool in my classroom. What questions do you have? If you use one, I'd love to hear about it in the comments. This makes my heart so happy! !